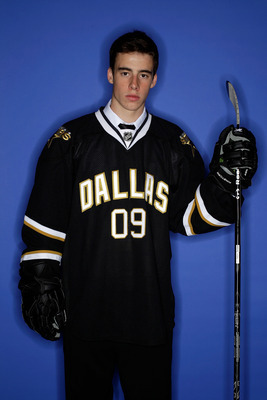 We all knew it was a possibility and it has indeed happened: Reilly Smith has signed a 3 year entry-level contract with the NHL’s Dallas Stars. Some, if not most saw the writing on the wall after Miami’s early exit from the NCAA tournament with a 4-3 OT loss to UMass-Lowell on Friday night- a game that Smith would most likely wish be kept off of his impressive Miami resume. Some say his mind was made up after the CCHA consolation game last weekend that saw the RedHawks defeat the Bowling Green Falcons at Joe Louis Arena in Detroit. Nevertheless, the junior captain finished his Miami career with 66 goals and 56 assists for 122 points and is one of 10 finalists for the Hobey Baker Memorial Award. He will join Dallas as the team embarks on a four game roadtrip beginning Monday night in Calgary. Best of luck to Reilly. He sure was fun to watch during his three years in Oxford. First and foremost, all credit for this post goes to “muhawk” over at Miami Hawk Talk. It’s one of the most inspiring things I’ve ever read and I definitely wanted to share it here. Love & Honor! One shift at a time, one period at a time, one win at a time. Win four games, Miami. Win four games, guys, and win the NCAA national title. Win it for yourself, so regardless of what happens in the rest of your playing career and the rest of your life, you will always be able to say you won a national title at Miami. Win it for your parents, because they likely spent too many hours to count getting up before dawn and driving to God-knows-where so you would have a chance to roll around the ice while playing youth hockey. Win it for Dr. Shriver, Lloyd Goggin, and other administrators who had their fingerprints on the program in its infancy and all the others who were basically crazy enough to think a school located in southwest Ohio would and should be able to compete with the hockey elite from schools in Minnesota, Michigan, and New England. Win it for Coach Cady. The man is basically the father of this program, and helped bring this team from an independent to the CCHA, before stepping down as coach to help develop the program, a program that was on the verge of getting the ax a few years later. Coach Cady poured his heart and soul into this program and has helped build what we see today. He deserves the chance to hold the NCAA Championship trophy, and not just to hand it off to BU. Win it for Coach Blasi. He’s the man who turned this program from CCHA also-ran into The Brotherhood and a consistent national contender. It used to be a big deal to see Miami’s name on Selection Sunday. Now, it’s basically old hat. 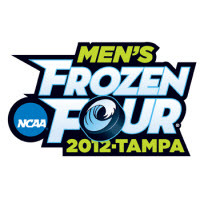 Frozen Four runs are now annual expectations, not impossible dreams. Rico made that happen and did so in a way that should bring pride to all Miami students, alums and fans. Win it for Burkie. Yeah, that still applies. Every single time I see his name in print or hear it on television, I still feel immense pride in our school and pride in the college program we cheer for, because it is also Brendan’s school and this is the program he had such a major impact on in just four years. It’s an impact I’m sure he didn’t even fully comprehend at the time but one that reaches far beyond the city limits of Oxford and continues to this day. The Brotherhood was and is lucky to have Brendan in its group. Win it for the guys who came before you. There are certainly too many names to mention here: some are playing in the NHL, many others aren’t. Just to name a few since this recent run started: Kompon, Hogeboom, Greene, Davis, Zatkoff, Jones, Martinez, Roeder, Mercier, Wingels, Palmer, Miele, Camper, etc. These men and others donned the Miami jersey and gave everything they had trying to reach the dream. Many never had the chance, while others came oh so tantalizingly close to the summit. The Brotherhood isn’t just about the current crop, it’s about the young men who kept fighting through so many frustrating years to get the program to this point, a point where, once again, Frozen Four runs are now annual expectations, not impossible dreams. Win it for your brothers. Clearly, they’re not just teammates, classmates or friends. They are and always will be your brothers and this is your chance to raise a banner with your Miami family. Finally, win it for Miami. The old gal is 203 years old and she is still as beautiful as always. One thing that is missing from her résumé is a D1 NCAA title. You can change that in the coming weeks. It won’t be easy. Hell, it will be one of the hardest things you try to accomplish. But it’s supposed to be difficult. If it weren’t difficult, everybody would do it. The fact that it is agonizingly difficult is why it is great. This program has felt pain. It’s time to experience the ultimate glory. Go Miami. Love and Honor. The field of 16 is set. Now that we know where the ‘Hawks are heading, the Redskin Warriors are going on the record with our predictions as to who will take the Division I crown. Look out Bridgeport, here come the RedHawks! It was just announced on ESPNU that Miami will face the UMass-Lowell Riverhawks on Friday at 6:30pm. The other matchup in the East regional bracket features Union vs. Michigan State. More to come from the Redskin Warriors today and over the next week. We’ll also “phone in” our predictions for the entire tournament and preview some of the matchups. 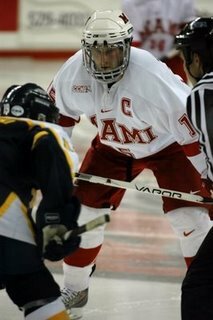 Miami forward Austin Czarnik has been named to the 2012 All-CCHA Rookie Team. The Washington, Michigan native leads the RedHawks in assists with 20 and is second on the team in total points scored, with a total of 29. 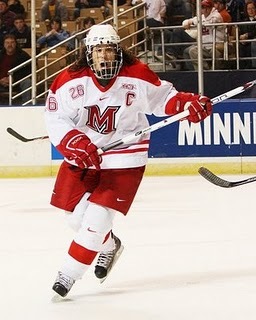 He joins defensemen Joe Hartman (09-10) and Chris Wideman (08-09) as well as goaltender Connor Knapp (08-09) as the only current RedHawks to have earned the honor. RedHawk forward Jimmy Mullin also received an honorable mention. In order to understand where you’re at, you need to understand where you came from. 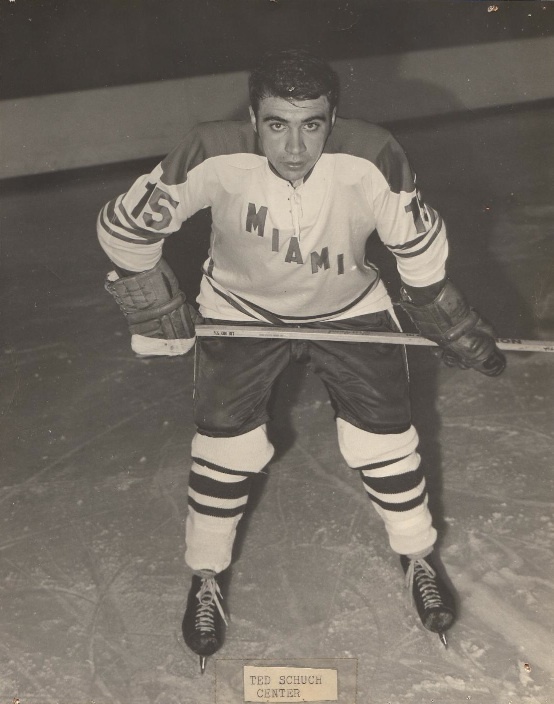 In this instance, Roger Voisinet, a three-year Miami captain from 1968-1970 (well before the program reached varsity status, mind you) has provided some great photos and documents from “The Brotherhood’s” infancy. Check out a sample of these rare photos; really neat stuff for those who have followed the program for any length of time. We hope to have an interview with Roger in the near future to hear his thoughts on his playing days and how he feels about the program’s success over the last decade. Enjoy, and thanks, Roger! 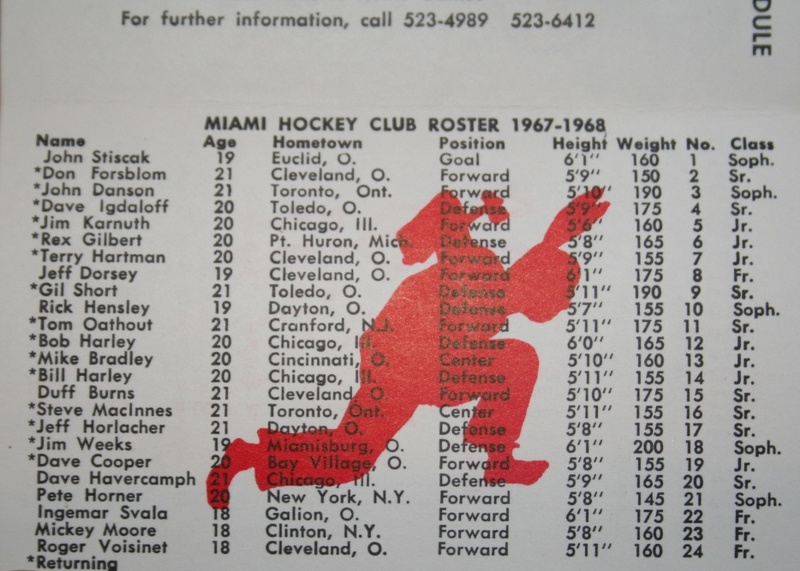 On the weekend of the NHL Draft in St. Paul, Minnesota, the Miami Athletic Department has released the 2011-2012 roster. Here’s a quick look at the newest RedHawks and the jersey number they’ll be wearing. Stay tuned for an NHL Draft recap as well! Gotta agree with that. Those who knew Brian know of the great hockey mind he possesses, after all he was a high school quarterback in Minnesota before attending Miami. I personally feel that Brian will make a great coach because of this and that the Miami hockey program will only benefit from his presence. It’s always nice when former players return and make the program all that much better and Kaufman is most certainly on the right path to following the footsteps of some Miami alums who have made their way behind the bench. – I like that the schedule once again features the two “home and home” weekends with Ohio State. If you’ll recall, last season the Buckeyes didn’t make the trip to Oxford…the teams only met twice with both games being played at Value City Arena. I think this (Ohio State series) is a great thing for Miami Hockey. Based on the name recognition alone, I feel this is a better opportunity to draw more casual fans to Cady Arena. OSU travels well and the competition is always high stakes. – Some may complain that the non-conference schedule isn’t strong enough (as I myself have been known to do), but I really like the fact that Bemidji is coming to Oxford this season. I think it’s a great test for the RedHawks in their building, just as St. Cloud and UNH have been in the past few seasons. Remember, the Beavers are a part of the WCHA now and play teams like Denver, North Dakota, and UMD every weekend. This isn’t the College Hockey America version of Bemidji, keep in mind. Last season they finished 15-18-5 and were a part of the “Final Five” tournament. Again, they aren’t North Dakota, but still good competition, in my opinion. – Miami closes the season with 9 of the final 16 games on home ice. For a program that has been known to “Swoon” after the holiday break, this could be a good chance to atone those losses (if it happens, that is) and pick up some momentum heading into the post-season. – The Brotherhood will have both a road and home series this season with Lake Superior State, Michigan, Northern Michigan, and of course, the split home and home weekends with Ohio State. Not a bad cluster group, if I say so myself. – Since the team has to make the 3,721 mile trek to Fairbanks this season, the two extra home games appear to be with the homeless (read confrenceless) Alabama-Huntsville Chargersm set to take place in February. I like the non-conference opponent late in the season, as opposed to strictly CCHA games during the second half. The last time the two school’s met, the RedHawks beat UAH in the 2009-2010 NCAA Tournament. Do you have any thoughts on the newly released schedule? If so, leave them in the comments section of this post! The following is from a great piece over on the Chatham-Kent Sports Network about former RedHawk Ryan Jones and his current status in the NHL. As of July 1, 2011 the ex-Miami captain will become an Unrestricted Free Agent-free to sign with any team that bids for his services and there is said to be no guarantee that the third year pro (I know, third year…really?) will return to the Edmonton Oilers. The problem with Jones is that many in the NHL feel he is a “3rd line plus” player- a guy that provides energy, competes every shift and chips in a few goals if he gets some bounces. While those of us who followed his college career need no introduction to his goal scoring ability, guys that carry a “bottom six” reputation as Jones does aren’t usually in high demand on the free agent market. Many teams, however, believe they can fill these role player spots with players from within the organization (i.e. the minors). The best case scenario is that the Oilers (and teams wishing to sign him) will view his career-high 18 goals (tied for tops on the Oilers) as yet untapped potential and utilize his skill-set on the second or third line, not on a checking line as most of his career has been spent. By the way, Jones was also honored as Edmonton’s representative for the NHL’s Bill Masterton trophy, an annual award given to the player on each team that is said to most exhibit a dedication to hockey.